Mondays with Megan-Farewell, 2013! | YA? Why Not? 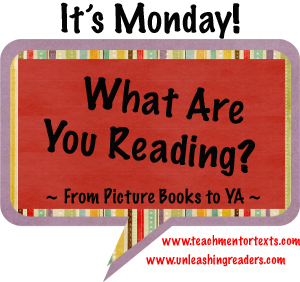 This entry was posted in Book Lists, Book Reviews, Mondays with Megan and tagged audiobooks, bloody jack, Fannie Flagg, graphic novels, It's Monday! 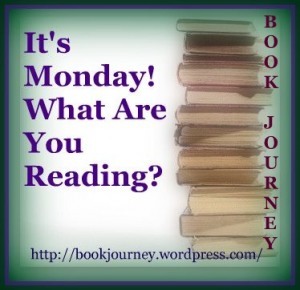 What Are You Reading?, Michael Grant, Sarah Beth Durst. Bookmark the permalink. A unicorn in Drink, Slay, Love… get out! I have to read it now. I like a little bit of snark with my vampires too. I love Fannie Flag and haven’t read the one you share here, so that will have to go on my list too. Thanks! I’m impressed with this 200 book goal as it seems all are novels. Yes? I’m a few hundred pages away from finishing my 100th novel! But have read 650+ books overall. Lots of PBs, and NF PBs Okay – I was wavering about reading Jellicoe Road but putting it back on my TBR list! 🙂 Happy Reading for 2014! I listened to Jellicoe Road and loved the reader! About 40 of my 200 are graphic novels, but the rest are novels. I agree with Carrie, you have reached a huge goal. I think I should count my novels, but didn’t arrange them that way, only where I thought they fit. I definitely will look for Jellicoe Road & have The Power of Habit but still haven’t read it. Love Bill Bryson, will look for this, too. Thanks for all you shared! Happy New Year! Caleb’s Crossing is on my bookshelf and I’m excited to read it. I’m glad to know that you loved it! I read both Steelheart and At Home this year, and I loved them, as well! Bryson’s The Mother Tongue is also wonderful, if you want to look more into his writing.